Mom and Dad trying to find a little bit of shade, and enjoying the smooth ride on the trip from Eleuthera to the Exumas. 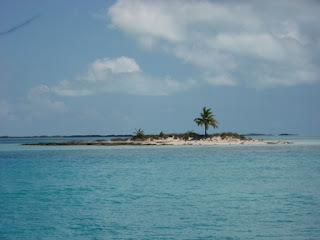 The cute, little island on the south side of Norman's Cay. Nice beach on the inside of Norman's Cay. Irie is in the background. 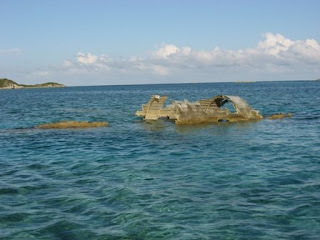 The plane wreck on the south side of Norman's. Dad is brushing Kali on one of the quiet days, in the busy anchorage at the west side of Norman's. 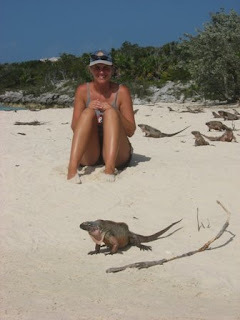 Hanging out with the iguanas on Alan's Cays. 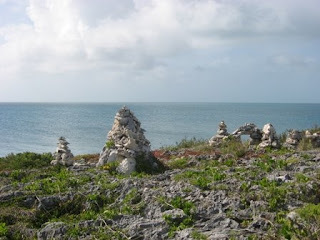 Stone statues on one of the islands of Alan's Cays.